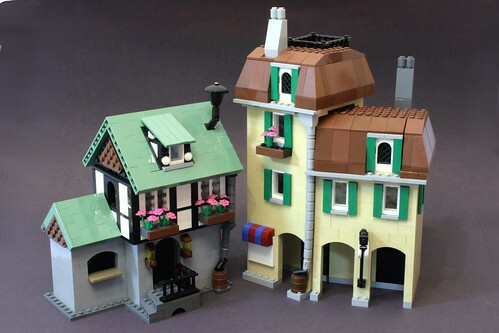 Brick Town Talk: Village - LEGO Town, Architecture, Building Tips, Inspiration Ideas, and more! There is a thing about European architecture that sets it apart from others. Perhaps it is the squished buildings lining the streets, or the variances in design, but whatever it is, Flickr user psiaki sure managed to capture the look and feel of a small European village. Better yet, this isn't even "completed" yet! We all look forward to seeing where this one goes. Please get this project rolling, Mike!